'2018 Dream Concert' to be Filled with "A-list Stars"
'2018 Dream Concert' is finally here! Korea Entertainment Producer's Association (KEPA) announced on April 2 that the 24th Dream Concert will be held on May 12 at the Seoul World Cup Stadium on May 12. 'Dream Concert' is a large-scale K-pop performance that has taken place annually ever since 1995. While the line-up for the concert is yet to be disclosed, a representative at the KEPA teased that "the upcoming Dream Concert will be filled with A-list stars." 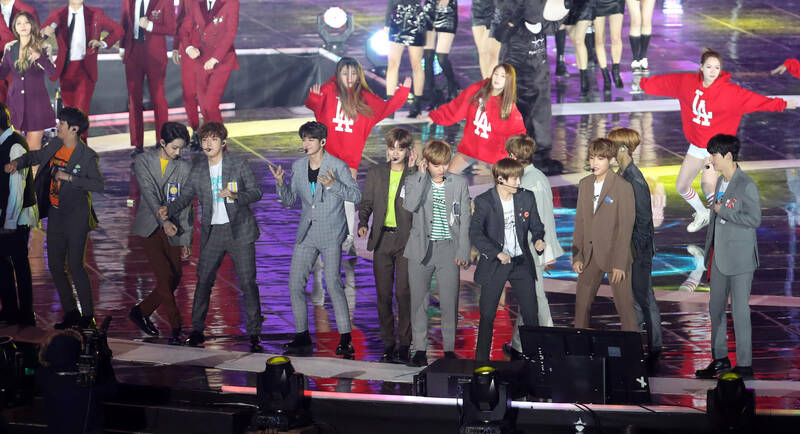 The '2017 Dream Concert' took place on November 4 in PyeongChang, Gangwon Province, with over 25,000 in the audience. The concert, which preceded the Winter Olympics, entertained a particularly large number of audience with high anticipations for the upcoming Olympic Games. Tickets for the '2018 Dream Concert' will be available for sale on Kstar website(www.kstar.tv). You may consult the Dream Concert official website (www.dreamconcert.kr) or the official Facebook page (facebook.com/1995dreamconcert) for further details.